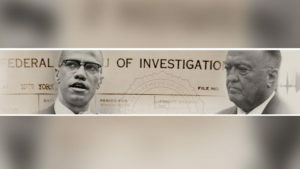 Analyzing the The Malcolm X Assassination in the context of the FBI's Counter Intelligence Program and the United States Government's criminal war against dissent. COINTELPRO (an acronym for Counter Intelligence Program) was a series of covert, and often illegal, projects conducted by the United States Federal Bureau of Investigation (FBI) aimed at spying on, infiltrating, discrediting, disrupting and destroying domestic organizations considered "subversive". According to the FBI, "intensified attention under this program should be afforded to the activities of such groups as the Student Nonviolent Coordinating Committee, the Southern Christian Leadership Conference, Revolutionary Action Movement, the Deacons for Defense and Justice, Congress of Racial Equality, and the Nation of Islam."